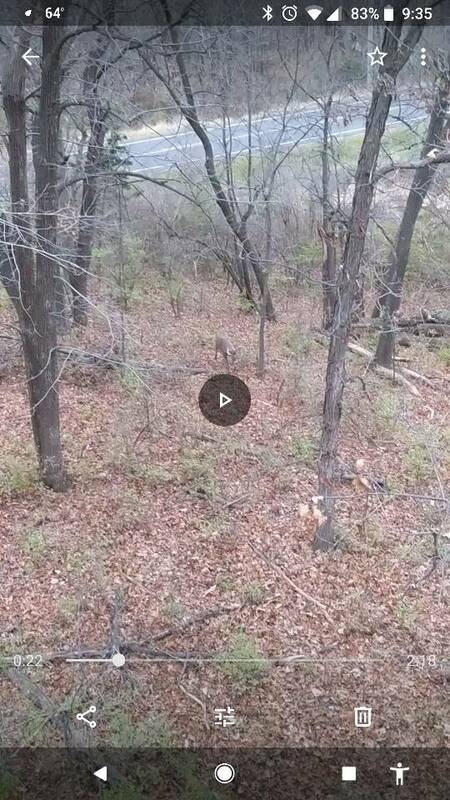 Discussion in 'Iowa Whitetail Conference' started by Mike311, Apr 15, 2019 at 8:12 PM. Noticed this stand traveling between jobs, I’ll just say it’s on a fairly busy state highway just south of Waterloo. Not a stitch of timber besides what’s in the ditch it’s in. Also not sure if it’s legit or just being funny. I got a kick out of it anyway. 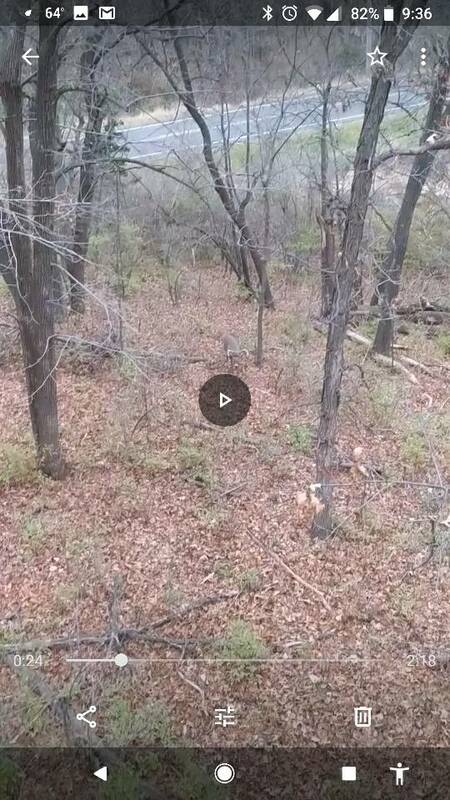 Where have you seen an interesting stand placement? meyeri and deerhunter93 like this. Looks odd right now, but could see it working when there is a sea of corn behind it. I've noticed some right along highways as well and couldn't imagine them being very relaxing. Although not next to a road...my stand that ALMOST produced a 27" wide GIANT 12 pointer for me a couple of years ago looks just about as dorky as that one. I placed that stand in the summer time with one deer in mind and for one 6-10 day period in October and I nailed it...well sort of...per the nearby trail cam he was right there the night before I sat that stand for him! Harrumph!!!! I missed him by one day!!! Moral...don't judge a book by it's cover, nor a stand by how it looks in April. 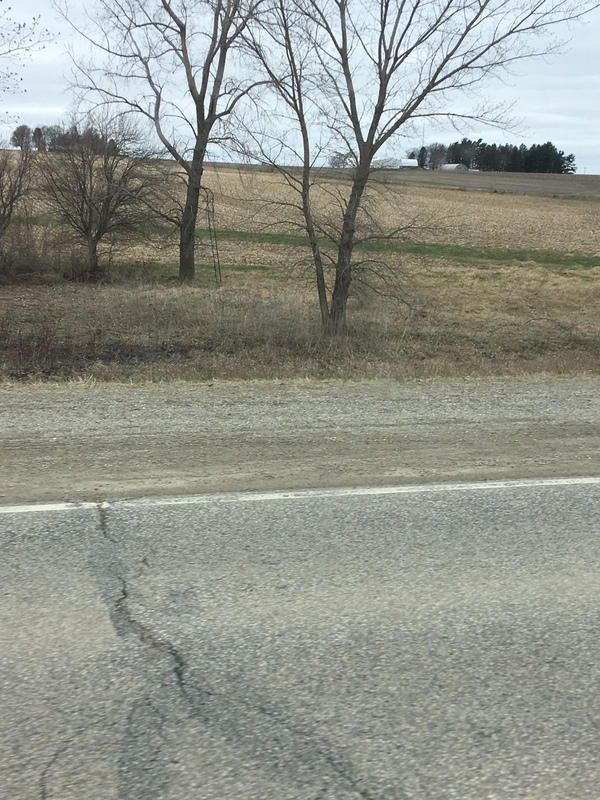 That being said, I wouldn't enjoy myself sitting that close to a road, but with corn up around that, it could be the spot for a time before the sea of corn is sawed down. Hardwood11, Rjack and RoosterCogburn like this. One right off I80 going around DM. Right on the fence in the ditch overlooking field. Always deer in those fields so I guess it's as good of spot as any. I know of one on I-35 in south iowa that is not on private, it is on a tree that is in the ditch of the interstate. That was a couple years ago. We all have to remember that poor people have poor ways. Sometimes people have to hunt what they can so a stand next to the road may be the only access they have to hunt on private. sep0667, if that stand is the one I've saw on 35 it was still there this year when I headed to the classic. Didn't know which side of the fence it was on. I have a stand on the edge of a level B road. Landowner owns both sides of the road and the deer use that road like you wouldn't believe...but that road probably sees 2 cars per week, and only when it's dry. There is a lady that called into the local radio station in Fargo ND complaining that the highway department chose terrible locations for deer crossing signs. She suggested putting the signs in lower traffic areas! We hung a stand in a lone tree in a cattle pasture due to the advice of the farmer. The deer came out of a marsh a 1/4 mile away and followed a fence line right past this tree headed to the ag fields. It felt and looked strange, but my dad killed a buck the 1st night and I missed a buck the 2nd night. Sadly the tree blew down shortly after this. This is a screen grab from one of my hang and hunts last year. Traffic noise is actually incredibly handy for concealing entrance, exits and any noise you may make during setup or year down. I almost killed a 160" out of the same tree the year before. Rjack, Muskrat24, Brett Morris and 2 others like this. I have seen that stand too. Always wondered about it. I thought it could be for practicing shooting out of a stand. Either way I do get a kick out of it. There used to be one in Des Moines on 80 going East just after you got passed the softball and baseball fields there. Like right on the fence that was closest to the interstate. However I know some big bucks ran that area!